Prescription drug abuse statistics are grim. The United States has less than 5 percent of the world’s people, but Americans make up 80 percent of the worldwide opioid marketplace. An average of 46 people a day die from prescription drug overdoses. That includes high-profile people like actors Heath Ledger and Anna Nicole Smith as well as singers Tom Petty and Prince. Many of these drugs, like Fentanyl, are addictive even if the patient takes them as directed. So, Hillsborough County prosecutors are very aggressive when it comes to prescription drug crimes in Tampa. At trial, prosecutors must establish every element of the drug crime beyond a reasonable doubt. Largely because of the high burden of proof, many of these cases settle out of court. 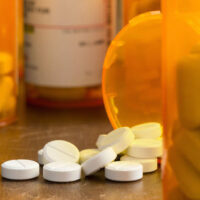 All prescription painkillers are controlled substances under federal and Florida law. Most of these substances are Schedule II drugs. These medicines have an acceptable medical use but a high risk of dangerous dependency. Some common Schedule II prescription drugs include meperidine (Demerol), oxycodone (OxyContin), fentanyl, methadone, hydromorphone (Dilaudid), Dexedrine, Adderall, and Ritalin. A few other prescription pain pills are Schedule IV drugs. These substances, like Xanax, Darvon, Darvocet, and Valium, are not quite as addictive as Schedule II drugs. The penalties for possessing these drugs are usually the same as any other controlled substance. Generally possession of a controlled substance (not including less than 20 grams of marijuana) is a third degree felony. The person knew of the existence of the substance and intentionally exercised control over that substance. These cases are easier to prove than possession cases. The defendant obviously knew what the substance was if s/he tried to sell it. In this context, “selling” does not require an exchange of money. The defendant could give the pill away or trade it for something else, such as another pill. Generally, the larger the quantity, the more serious the offense under Florida law. Additionally, if the defendant moves the pill illegally across state lines, federal prosecutors may file additional drug trafficking charges. These types of prescription drug fraud are very tempting but usually unsuccessful in the long run. Eventually the person or addict gets caught. Some people have access to sophisticated laser printers and other advanced tools to assist them with these fraud, but law enforcement officers can have access to even more sophisticated detection equipment. These gadgets often provide strong proof of fraud. The good news is that, if the person is charged with a misdemeanor or a third degree felony and has no criminal background, pretrial diversion may be available. If the defendant successfully completes a program similar to probation, prosecutors will normally dismiss the charges. If law enforcement develops evidence of prescription drug fraud, prosecutors may file several different types of charges depending on the facts and circumstances of the case. Nicholas Gianni Matassini is Board Certified in Criminal Trial Law by The Florida Bar and is AV Rated by Martindale-Hubbell. For a free consultation with an experienced criminal defense attorney in Tampa, contact The Matassini Law Firm, P.A. After hours visits are available.